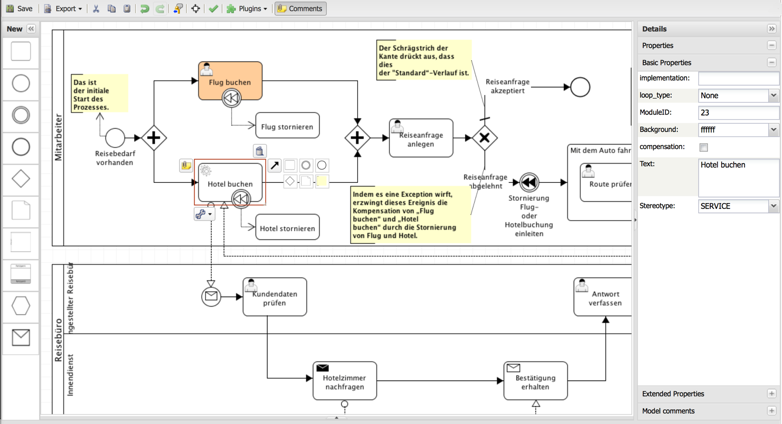 The Process Editor includes a HTML5-based WebModeler. A few screenshots are shown below, installation instruction follow afterwards. 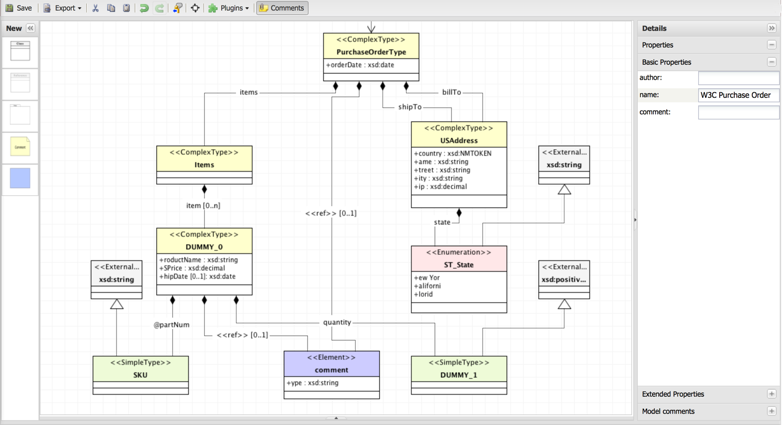 A UML class model (imported from XML schema). '/lib': Please place copies of javax.mail, log4j, and Appache Commons Collection 4 here. '/www/js/ext': Extract ExtJS 4.2.x into this folder (directly). If you want to run the server with https, please configure it according to config.properties.template, to be placed at /www/config. Use root/inubit as the default credentials. 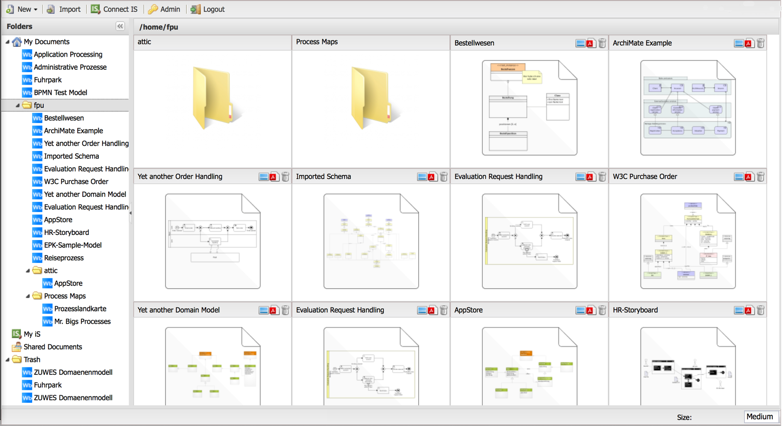 DISCLAIMLER: Please note that the ExtJS 4 WebModler is currently in an experimental state. If you have the urgent feeling that this should change and would like to provide some coding/fixing, I would be happy if you could contact me.